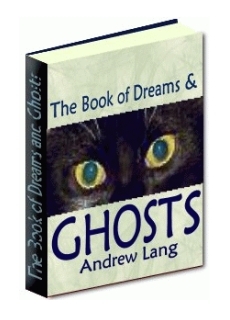 In this 130-page eBook, you will read about such things as the most common features of ghosts and dreams, waking dreams, spirits of the living and spirits of the dying, astral body, haunted houses, animals as affected by the presence of apparitions, crystal gazing, and much more. Arbuthnot on Political Lying. Begin with “Great Swingeing Falsehoods”. The Opposite Method to be used in telling Ghost Stones. Begin with the more Familiar and Credible. Sleep. Dreams. Ghosts are identical with Waking Dreams. Possibility of being Asleep when we think we are Awake. Dreams shared by several People. Story of the Dog Fanti. The Swithinbank Dream. Common Features of Ghosts and Dreams. Mark Twain’s Story. Theory of Common-sense. Not Logical. Fulfilled Dreams. The Pig in the Palace. The Mignonette. Dreams of Reawakened Memory. The Lost Cheque. The Ducks’ Eggs. The Lost Key. Drama in Dreams. The Lost Securities. The Portuguese Gold-piece. St. Augustine’s Story. The Two Curmas. Knowledge acquired in Dreams. The Assyrian Priest. The Déjà Vu. “I have been here before.” Sir Walter’s Experience. Explanations. The Knot in the Shutter. Transition to Stranger Dreams. Veracious Dreams. Past, Present and Future unknown Events “revealed”. Theory of “Mental Telegraphy” or “Telepathy” fails to meet Dreams of the unknowable Future. Dreams of unrecorded Past, how alone they can be corroborated. Queen Mary’s Jewels. Story from Brierre de Boismont. Mr. Williams’s Dream before Mr. Perceval’s Murder. Discrepancies of Evidence. Curious Story of Bude Kirk. Mr. Williams’s Version. Dream of a Rattlesnake. Discrepancies. Dream of the Red Lamp. “Illusions Hypnagogiques.” The Scar in the Moustache. Dream of the Future. The Coral Sprigs. Anglo-Saxon Indifference. A Celtic Dream. The Satin Slippers. Waking Dreams. The Dead Shopman. Dreams in Swoons. Transition from Dreams to Waking Hallucinations. Popular Scepticism about the Existence of Hallucinations in the Sane. Evidence of Mr. Francis Galton, F.R.S. Scientific Disbelief in ordinary Mental Imagery. Scientific Men who do not see in “the Mind’s Eye”. Ordinary People who do. Frequency of Waking Hallucinations among Mr. Gallon’s friends. Kept Private till asked for by Science. Causes of such Hallucinations unknown. Story of the Diplomatist. Voluntary or Induced Hallucinations. Crystal Gazing. Its Universality. Experience of George Sand. Nature of such Visions. Examples. Novelists. Crystal Visions only “Ghostly” when Veracious. Modern Examples. Under the Lamp. The Cow with the Bell Historical Example. Prophetic Crystal Vision. St. Simon The Regent d’Orléans. The Deathbed of Louis XIV. References for other Cases of Crystal Visions. Veracious Waking Hallucinations not recognised by Science; or explained by Coincidence, Imposture, False Memory. A Veracious Hallucination popularly called a Wraith or Ghost. Example of Unveracious Hallucination. The Family Coach. Ghosts’ Clothes and other Properties and Practices; how explained. Case of Veracious Hallucination. Riding Home from Mess. Another Case. The Bright Scar. The Vision and the Portrait. Such Stories not usually believed. Cases of Touch: The Restraining Hand. Of Hearing: The Benedictine’s Voices; The Voice in the Bath-room. Other “Warnings”. The Maoris. The Man at the Lift. Appearances Coincident with Death. Others not Coincident with Anything. “Spirits of the Living.” Mistakes of Identity. Followed by Arrival of Real Person. “Arrivals.” Mark Twain’s Phantom Lady. Phantom Dogcart. Influence of Expectant Attention. Goethe. Shelley. The Wraith of the Czarina. Queen Elizabeth’s Wraith. Second Sight. Case at Ballachulish. Experiments in sending Wraiths. An “Astral Body”. Evidence discussed. Miss Russell’s Case. “Spirits of the Dying.” Maori Examples. Theory of Chance Coincidence. In Tavistock Place. The Wynyard Wraith. Lord Brougham’s Wraith Story. Lord Brougham’s Logic. The Dying Mother. Comparison with the Astral Body. The Vision of the Bride. Animals as affected by the supposed Presence of Apparitions. Examples. Transition to Appearances of the Dead. Transition to Appearances of the Dead. Obvious Scientific Difficulties. Purposeless Character of Modern Ghosts. Theory of Dead Men’s Dreams. Illustrated by Sleep-walking House-maid. Purposeful Character of the Old Ghost Stories. Probable Causes of the Difference between Old and New Ghost Stories. Only the most Dramatic were recorded. Or the Tales were embellished or invented. Practical Reasons for inventing them. The Daemon of Spraiton. Sources of Story of Sir George Villier’s Ghost. Clarendon. Lilly, Douch. Wyndham. Wyndham’s Letter. Sir Henry Wotton. Izaak Walton. Anthony Wood. A Wotton Dream proved Legendary. The Ghost that appeared to Lord Lyttleton. His Lordship’s Own Ghost. The Slaying of Sergeant Davies in 1749. The Trial. Scott’s Theory. Curious recent Corroboration of Sir Walter’s Hypothesis. Other Trials involving Ghostly Evidence. Their Want of Authenticity. “Fisher’s Ghost” criticised. The Aylesbury Murder. The Dog o’ Mause. The Ghosts of Dogs. Peter’s Ghost. More Ghosts with a Purpose. Ticonderoga. The Beresford Ghost. Sources of Evidence. The Family Version. A New Old-Fashioned Ghost. Half-past One o’clock. Put out the Light! Haunted Houses. Antiquity of Haunted Houses. Savage Cases. Ancient Egyptian Cases. Persistence in Modern Times. Impostures. Imaginary Noises. Nature of Noises. The Creaking Stair. Ghostly Effects produced by the Living but Absent. The Grocer’s Cough. Difficulty of Belief. My Gillie’s Father’s Story. “Silverton Abbey.” The Dream that Opened the Door. Abbotsford Noises. Legitimate Haunting by the Dead. The Girl in Pink. The Dog in the Haunted Room. The Lady in Black. Dogs Alarmed. The Dead Seldom Recognised. Glamis. A Border Castle. Another Class of Hauntings. A Russian Case. The Dancing Devil. The Little Hands. St. Vincent’s Ghost Story. Reflections. A Question for Physicians. Professor William James’s Opinion. Hysterical Disease? Little Hands. Domestic Arson. The Wem Case. “The Saucepan began it.” The Nurse-maid. Boots Fly Off. Investigation. Emma’s Partial Confession. Corroborative Evidence. Question of Disease Repeated. Chinese Cases. Haunted Mrs. Chang. Mr. Niu’s Female Slave. The Great Amherst Mystery. Run as a Show. Failure. Later Miracles. The Fire-raiser Arrested. Parallels. A Highland Case. A Hero of the Forty-Five. Donald na Bocan. Donald’s Hymn. Icelandic Cases. The Devil of Hjalta-stad. The Ghost at Garpsdal. The Story of Glam. The Foul Fords.